Longevity is often correlated to body size, with larger animal species generally living longer than smaller ones. For example, an African elephant can live as long as 70 years, while a common house mouse typically lives only one to three years. Humans are considered relatively long-lived animals, tending to live about four times longer than most other mammals when adjusted for size. But bats can far exceed that. Some species can live 40 years—eight times longer than similarly sized mammals—which is why scientists have long sought to understand bats as a model for healthy aging. This is the first time researchers have reconstructed longevity on an evolutionary tree of bats and used that information to compare traits that could account for life span differences between related species. Wilkinson and his coauthor, UMD biological sciences graduate student Danielle Adams, analyzed traits that were known to correlate with longevity—body size, cave use and hibernation—as well as traits that had not been previously considered, such as home-range latitude and size differences between males and females. 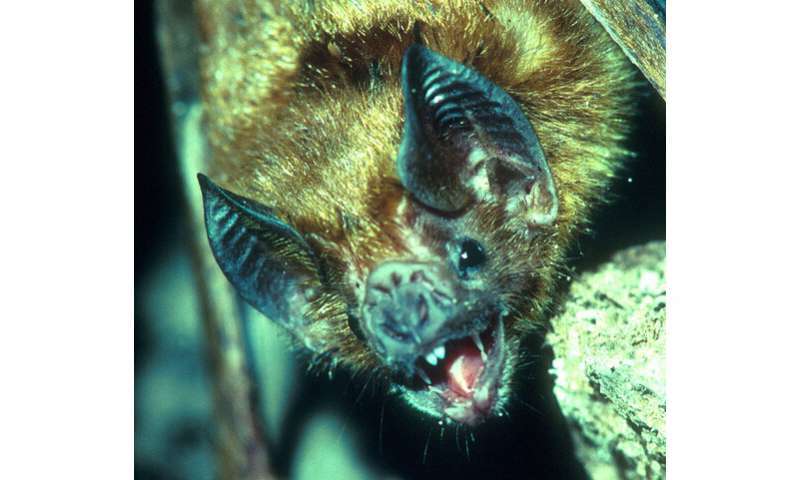 The research paper, "Recurrent evolution of extreme longevity in bats," Gerald S. Wilkinson and Danielle Adams, was published in the journal Biology Letters on April 10, 2019.